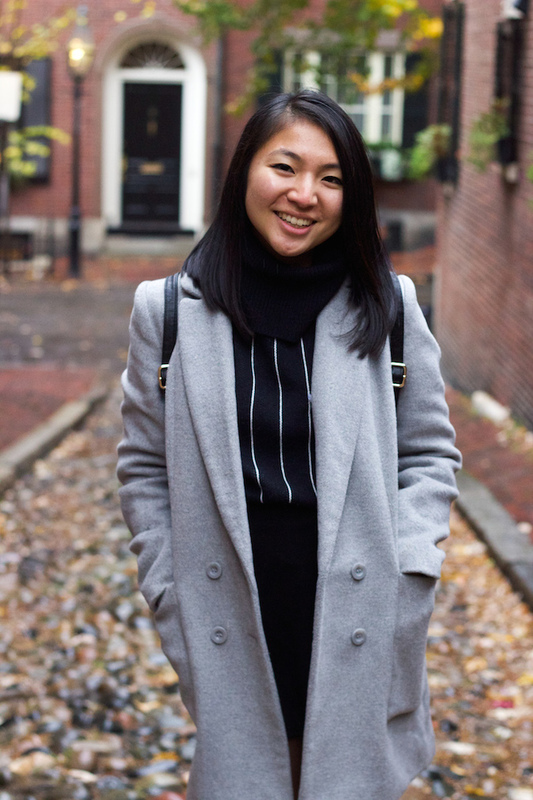 These photos were taken on Acorn Street, a narrow cobblestone pathway lined with quaint townhouses that had once been inhabited by carriage coachmen. It is often referred to as the most photographed street in America, and rightfully so. 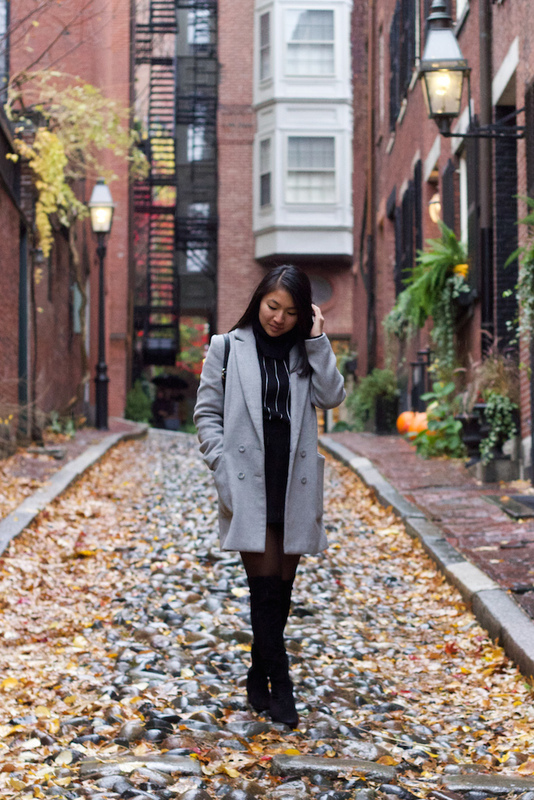 With an unrefined road surface and autumnal decor lining the brick walls, this path is a testament to the beautiful simplicity of an earlier time. Other areas we visited included the famous Faneuil Hall and of course, an afternoon pick-me-up at Blackbird Donuts. Despite the consistent gloom in the sky on Saturday, we had the best time discovering these little stops that have always been just minutes away. At this rate, I cannot wait to see where each new Thanksgiving takes us. Let me know how you spent this past week in the comments below! I can see why it is the most photographed street in America. Stunning! I can feel you. We used to play with my cousins but now things are completely different. It's funny how times change so fast! Right?! I can't believe how quickly everything changes! 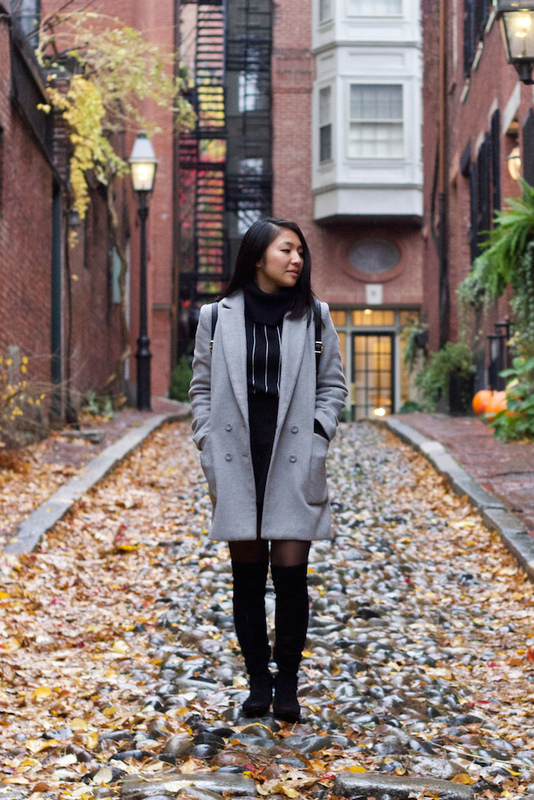 This is such a pretty monochrome look for autumn. Loving it! 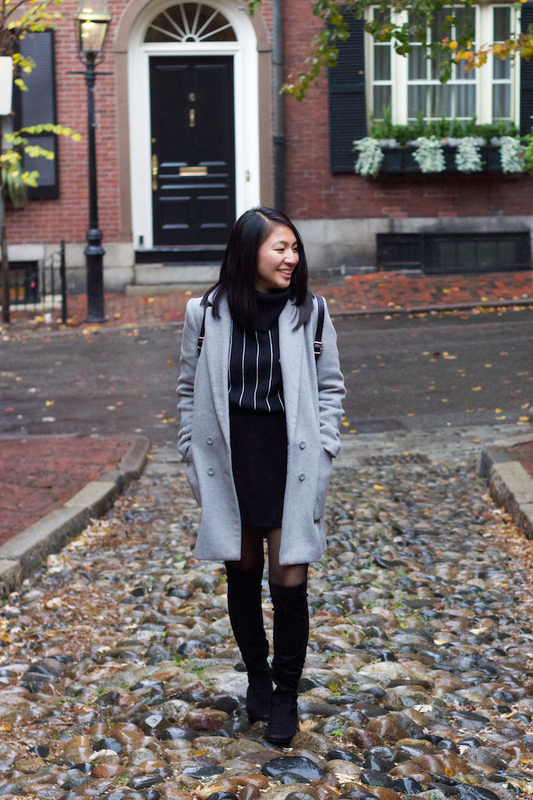 Absolutely loving your coat and turtleneck, Christina, and the street looks stunning! We don't celebrate Thanksgiving here so I wasn't up to much during the weekend, though I do think catching up on sleep is bliss in its own way. Haha, enjoy the week, Christina! Hope you've had a lovely week, May! always so chic!! you have the coolest backpacks ever! Love the cobbled pavements too! Haha, thank you!! I love a good backpack! What a beautiful street and love the cobblestone pathway. This outfit is so pretty. Love the gray coat and back zipper on your boots. Gorgeous smile! Love the boots and the backpack! kisses dear! I am in loveee with you outfit! Super cute coat - you look very chic! Love your coat, great loo and beautiful photos. Love your jacket! Beautiful smile and pretty look! Gosh! I absolutely love Boston! The charm is undeniable! Wonderful pics, my dear! I hope you can visit some day! It is a lovely city! This place is so pretty, no wonder it's the most photographed street. 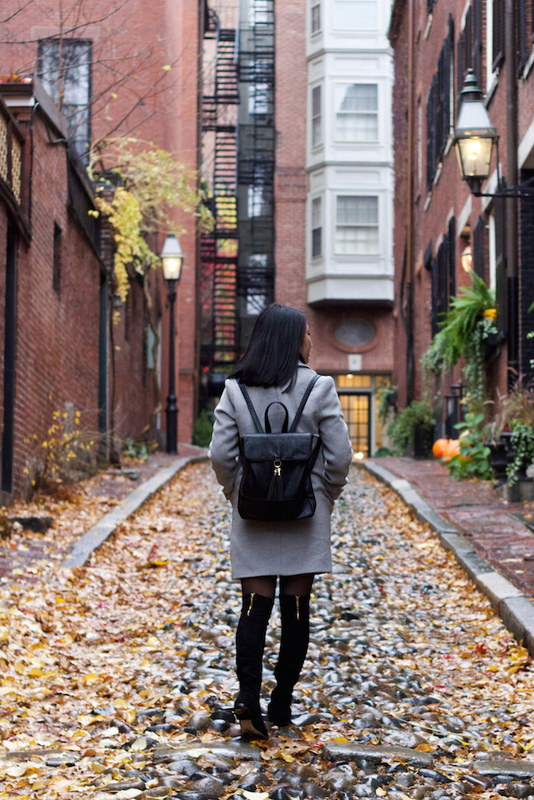 This outfit is perfect for Thanksgiving, the boots and backpack are giving me life!